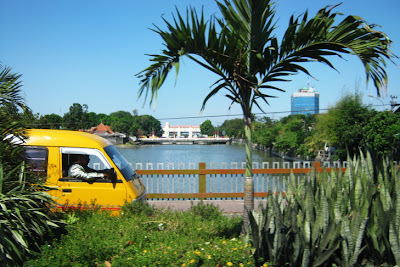 One interesting spot -captured from inside a car- in Surabaya city (East Java, Indonesia). Jagir Dam that far behind looked small. Beautiful timing a yellow cab and the blue building from the horizon. It looks like a very clean and orderly place Lina :) I hope it could be maintained that way.